To enhance security of your online card transaction, RBI has made it mandatory to have an authentication pass code (PIN) for all online transactions. Such PIN has to be verified by VISA or MASTERCARD secure code. By adding an extra security layer at the checkout point we expect all online transactions are to be safer in future. With this, from 1st of august it’s mandatory for all credit card holders to get a personal identification number or password to do all online transactions in India. By which all transactions of online shopping and ticket booking are now required to have a PIN in addition to all other details like name, card number, CVV and expiry date. Every time you do an online transaction, you will be redirected to a specific screen to enter the PIN that has been delivered to you and after entering such PIN you will be allowed to complete your transaction. 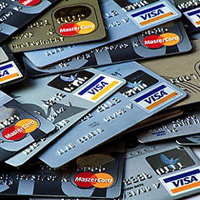 Such PIN or password has to be provided by the bank or financial institution which is unique and should not be based on the data that is available on the face of the credit card. If banks are failed to do so then they will be charged penalty. If you are an existing holder and you do not have a PIN then you need to apply for it. After getting application for a PIN the bank or financial agency will give you a PIN or password that you required to provide for all your online transactions. Such PIN will work like your ATM PIN and will only be known to the holder. In case it falls in to wrong hands or someone has your credit card number then they will not be able to do online transactions without the PIN or password. Most likely RBI will also make it mandatory to have a credit card with photo. Those credit cards which are issued without a photo has to show an identity proof while buying from malls or shopping places.